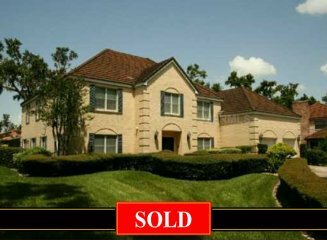 This wonderful traditional home has a spacious interior designed for Florida living with many glass walls and doors and a wonderful open floor plan! Lots of space – just where you need it! There are 4 or 5 Bedroom Suites each of which has an adjoining Sitting Room or Study. 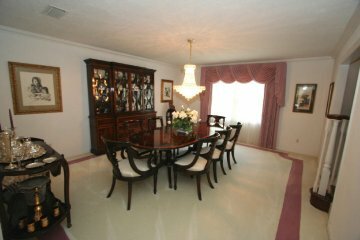 The home was originally built in 1986 – but has been renovated extensively. It looks new and ready for immediate move-in. There is a front and rear staircase. A columned entry leads into the 23’ formal Living Room to the left and a 17’ Dining Room to the right from a 16’ wide Foyer. A wide hallway leads to the rear where you will find a 10’ long Entertainment Bar, topped with a striking black cultured marble, against a mirrored wall, and a wet bar and wine rack. This attractive Bar opens to a 22’ x 21’ Family Room with fireplace. 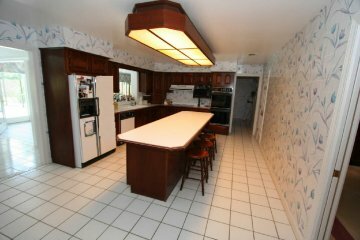 This 24’ kitchen has an abundance of storage cabinets and best of all – a 10’ snack/serving bar for casual eating. Adjoining the Kitchen is a bright Breakfast Room overlooking the Pool. You will probably spend most of your time in this charming 32’ tiled Garden Room – looking out at the Pool and Porch through glass window walls and French doors. The Master Suite consists of a 21’ Bedroom, adjoining 16’ study/office with bookshelves, a large private T.V. 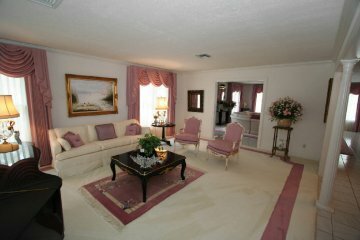 Room or Lounge with a luxurious granite bath and 2 walk-in closets. Secondary Bedrooms each are “en suite” with adjoining study/lounge or computer area. One bedroom has a loft which teens will find very attractive. 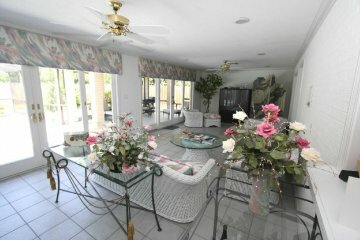 A 16’ screen porch overlooks the Terrace which is fully screened and houses a 40’ x 19’ Swimming Pool. A rear staircase leads to a 24’ Bonus Room, which has multiple uses depending on your specific needs. 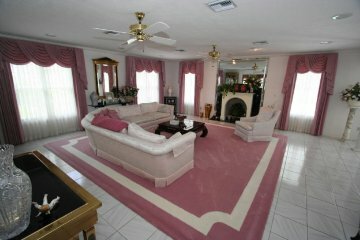 The property is attractively priced. 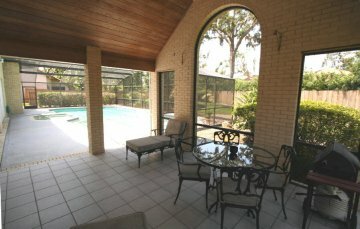 Located within 15 minutes to all Disney attractions. $780,000.